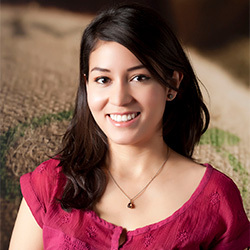 Adrianne has worked in the coffee industry for her entire work life experience. What started as a part time job in high school grew into a lasting passion for coffee. While pursuing the quality control aspect of the industry, she’s gained roasting and cupping experience. Over the years, she also expanded her knowledge in other divisions of the coffee industry that include commercial, decaf, soluble, and specialty coffee. She is a Houston native and graduated from the University of Houston-Downtown. Her other interests consist of photography, scrapbooking, gaming, and reading.